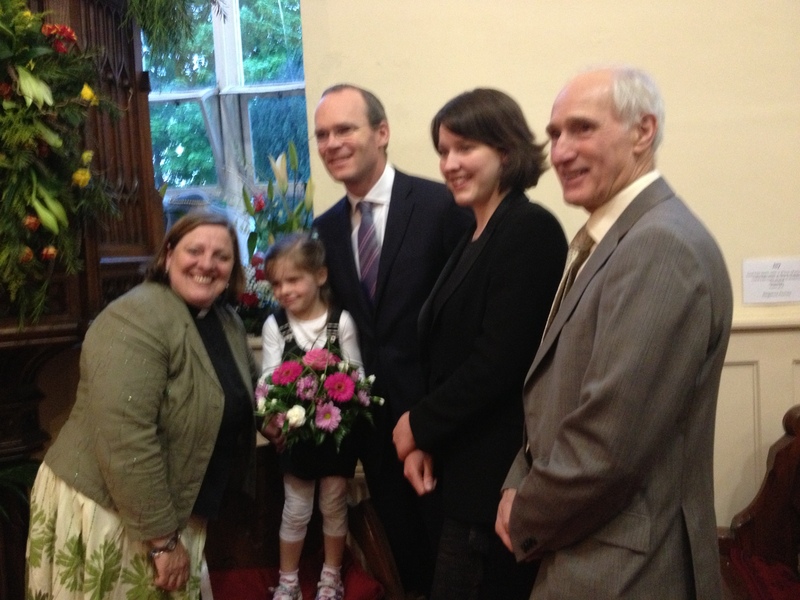 On Friday 17th May, the Minister for Agriculture, Marine and Food, Simon Coveney, T.D., opened the Pentecost Flower Festival at St Mary’s Church, Carrigaline. The Festival – Fruits of the Spirit – marking Pentecost weekend, continues today, Saturday 18th May (10.30 – 6) and tomorrow Sunday 19th May (from 12.30 p.m.) and will conclude with a special Service at 7.30 p.m. The preacher will be the Right Reverend Michael Burrows, Bishop of Cashel and Ossory. Throughout the festival there is an art exhibition in the adjacent parochial hall. This entry was posted in Church Services, Parish News. Bookmark the permalink.